Hi there! My name is Sarah, Sar too many, or that teeny person in a bobble hat eating a fab! 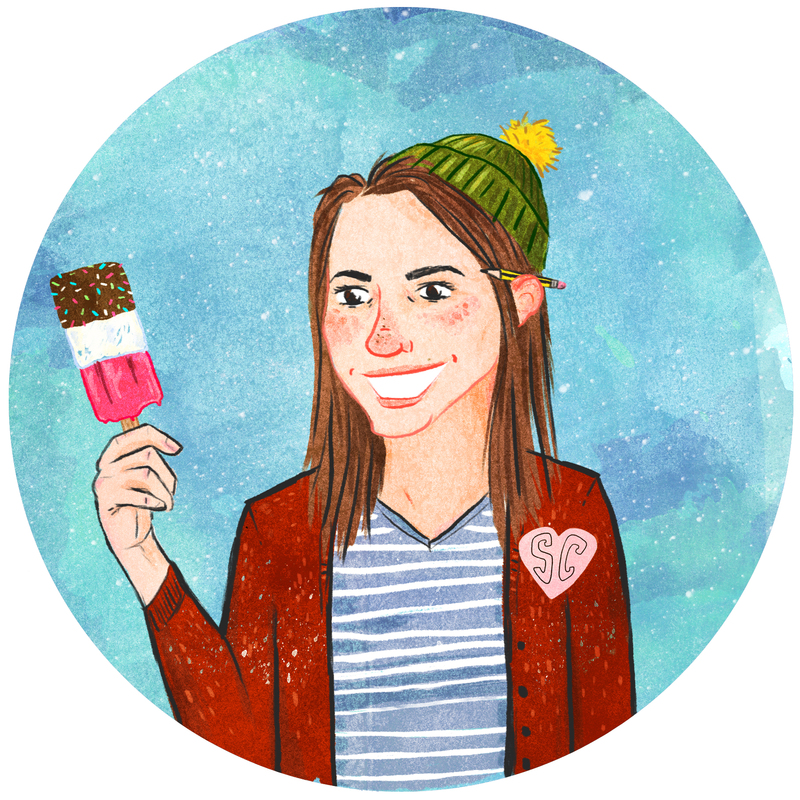 I am a freelance illustrator, with a passion for drawing people, places and the odd dinosaur! I also have plenty of experience designing promotional materials for posters and flyers, prints and products. A lot of my own designs can be found adorning cards, mugs, phone cases and more over on my Etsy and Redbubble Shops. In my spare time I like to travel, play board games and doodle contestants from the Great British Bake Off. A hobby that started off modestly in 2012, which has since gained quite a following and lead to me meeting the ‘Queen of Bake Off’ Mary Berry herself! After travelling for the best part of two years, I now am firmly rooted in London town and I’m always on the lookout for new and interesting work projects. So if you’re interested in my work, would like to commission me or you just want to say hello, I would love to hear from you!